Users that want to design their own decks (expansion boards) for the Crazyflie 2.0 can use the deck template to get started. It contains the initial schematic with the expansion connector, the component mapping and the layout including the connector. In order for users to easier be able to see how their expansion board will fit we have added the Crazyflie 2.0 outline as well as some key components. 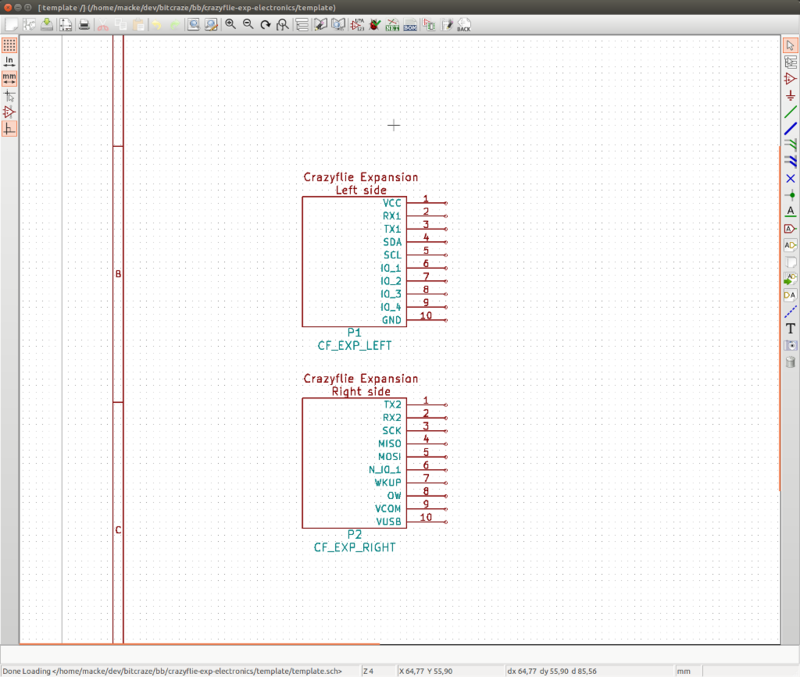 The added drawings are on the Eco1.User layer. The deck template on github. 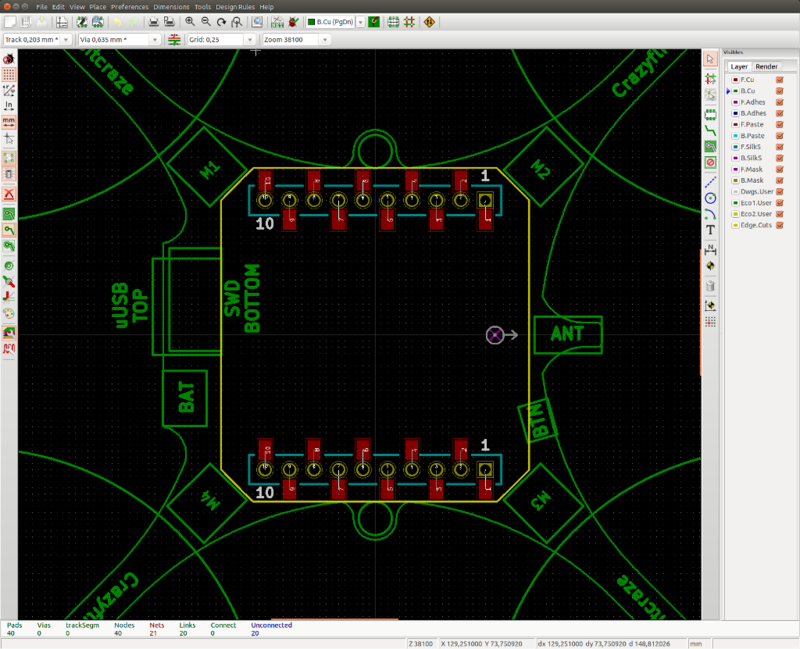 The project is made using KiCad and is licensed under CC-BY 4.0.